When I heard that Bettye LaVette's new CD would be recorded in Muscle Shoals, I drifted back to the past. Muscle Shoals, Alabama, where Aretha Franklin got her "Respect," where Wilson Pickett met his "Mustang Sally" and where Candi Staton "Stood By Her Man." But that was then, and here we are in 2007, and with this new CD, Bettye LaVette reminds us she is very much a 2007 woman, not an artist looking back, but an artist very much rooted in today. Great artists as well as great songs grow with the times, and refuse to be locked in a time capsule. 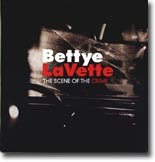 For The Scene of the Crime Bettye enlisted "dirty south" rockers The Drive By Truckers to back her. Spooner Oldham is on all tracks (Wurlitzer or piano) and David Hood plays bass on three tracks. Musical historians will know that these two were among the many great musicians responsible for so many of those early hits, and it is the very same legendary Fame Studios where this soon to be classic recording was recorded. It is also the town where Bettye recorded a masterpiece titled Child of the Seventies back in 1972 that was shelved, then finally released 30 years later. For Bettye, going back to Muscle Shoals to record was like returning to the scene of the crime, thus the appropriate album title. Although many will call this a soul album, it is so much more. With rock, country and soul as its foundation, it is an autobiographical look back at the long hard road she has traveled, but it also shows us the direction her current path has taken her. She is by no means a retro soul singer, but a "now" woman ready for the new experiences life has unfurled in front of her. The album opens with an Eddie Hinton tune, "I Still Wanna Be Your Baby." There is no need to emphasize the importance of the late Eddie Hinton in the Muscle Shoals music scene and the many songs he had written in his lifetime. If you are not familiar with Hinton's music, a whole new world awaits you. It is followed by the melancholy "Choices" with the following poignant lines, "There were loved ones, but I turned them all away. Now I'm living and dying with the choices I made." Lines many of us can relate to today. "Jealousy" by Frankie Miller and "You Don't Know Me At All" by Don Henley both add to the concept theme presented in this collection. A wonderful Willie Nelson tune, "Somebody Pick Up My Pieces," adds to the diversity. There's a fine John Hiatt tune "The Last Time," and then you're absolutely floored by "Talking Old Soldiers," an Elton John and Bernie Taupin tune that really delivers the message of growing old. "I know how it feels to grow old. How do they know what it's like to have a graveyard as a friend?" Continuing, the self-penned (along with Patterson Hood) "Then The Money Came (The Battle of Bettye LaVette)" is a glimpse back over Bettye's life. The following sums up a tiny part......."Record deals kept falling apart. The one with Atlantic really broke my heart. Forty years I kept on singing, before the money started rolling in." A worthy follow up to 2005's acclaimed I've Got My Own Hell To Raise, perhaps a bit more personal, as one of today's great divas shares her heart and her life with us. This is a release not to be missed. Check out her website at www.bettyelavette.com and let Bettye blow you a kiss.